After many decades of academic secularism, we see that archaeologists and historians are regularly dismissive of Religion and often downright hostile. Few in academia have bothered to read the Bible and even fewer have devoted significant time to its study. Centuries of history are explained away as fabrication, the stories in Scripture merely fables. Excavating the Bible stands in rebellion against the suppression of religion in Western society. Its author, Yitzhak Meitlis, defends the historical accuracy of Scripture and brings the evidence to the general public. The Hebrew language edition has already been widely-read and debated in Israel. Meitlis, an award-winning Professor of Archaeology in Israel brings something rare to the back and forth inquiry about the truth of the Bible. It is a deep love of the land of Israel and intimate knowledge of the Bible itself. Dr. Meitlis has built his argument on academic scholarship, excavations of colleagues and his deep familiarity with the geography of Israel. Were David and Solomon, in fact, powerful rulers of wide renown, for example, as indicated in the Bible or were they merely minor chieftains of insignificant stature as claimed by some modern-day historians? These are not idle questions. In our own day, some in the Arab world are claiming, with the support of archaeological minimalists, that Ancient Israel is a myth, that no Temples ever existed in Jerusalem and that Israeli claims to Jerusalem are historically unfounded. With great skill and meticulous methodology, Meitlis utilizes both the tools of modern archaeological research and his deep understanding of the ancient Near East. He leads the reader on a lively exploration of the ancient cities of the Judean Hills, and the birth of an Israelite nation and the people’s challenge to remaining a people committed to God as described in the Prophets and later Writings. The journey culminates in Jerusalem, where the reader watches the rise and fall of one civilization after another; views the audacious exploits that delivered the city into the hands of David; pictures its glory at the height of its power; and watches in horror as it meets its fiery end. 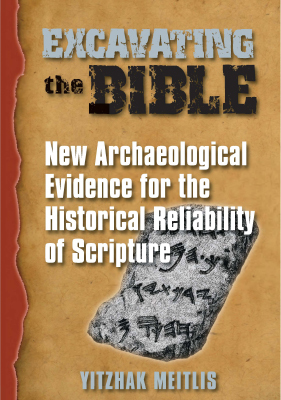 This excursion through the terrain of the Bible that is found in Excavating the Bible is sure to astonish, even shock many of you, excite others and comfort those searching for validation of their beliefs. . It is a thought-provoking and captivating exploration of the Biblical era in all of its majesty. From the Gospel account of Jesus’ trial and punishment to medieval Blood Libels, from the notorious Dreyfus Affair to the story of Leo Frank’s trial and eventual lynching, and from the State of Israel’s trial and execution of Nazi Adolph Eichmann to Jonathan Pollard’s closed-door trial and ongoing incarceration, it seems that the Jew, one way or another, is always on trial in the courtroom of journalistic and historiographic examination, whether as the accused, the accuser, the jury or the judge. Unique and provocative, this volume begins by asking when and how law became separate from religion in the Israelite-Judaean world before considering how we might evaluate and understand the Gospel’s narrative of Jesus’ trial and punishment in light of information found within Judaean, pagan Roman and early Jewish literature. Regardless of the details that favor or disfavor the Gospel account, many generations of Christians accept it as unequivocally true, which has shaped their relations with Jews over the past two millennia. 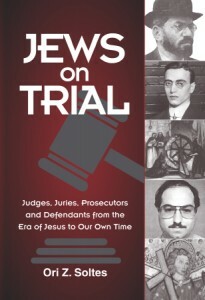 In Jews on Trial, Ori Soltes delivers a concise and extensive review of the history of Christian-Jewish relations that examines that relationship from a legal and quasi-legal perspective and adds significantly to the discourse. There is no other comprehensive text so broadly conceived, yet focused on such an important aspect of human history through a specific lens of religion, law and justice. We all suffer the pain of loss when a loved one dies. We search for meaning in their lives and try to comprehend the unknowable. For each of us, understanding is a journey of inestimable length. Rafael Grossman was a successful pulpit rabbi, president of his state’s rabbinical council, and the dean of a Hebrew Day School when his teenage daughter Shoshana—vibrant and energetic, a delight to her parents and everyone around her—became ill and died at the age of seventeen. After her death, Rabbi Grossman was sure that he would never quite have the same faith in God or regain his joy in living. But as the years went by, he appreciated how Jews throughout history had managed to sustain hope in the wake of personal and communal calamities, and he too regained hope. 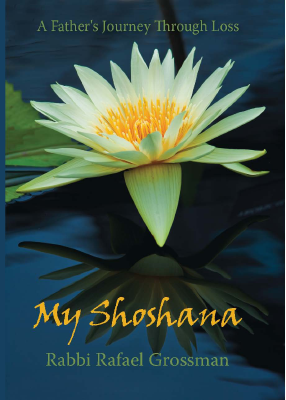 My Shoshana is a heartfelt letter from father to daughter as an expression of his love, and his never-ending sorrow, but also as a story of renewal and the recognition that, with our memories, no one is truly lost to us. copyright 2018 Eshel Books. All rights reserved.